Heat the oven to 180C/gas mark 4. Cover the tomatoes in boiling water in a bowl so they peel easily. 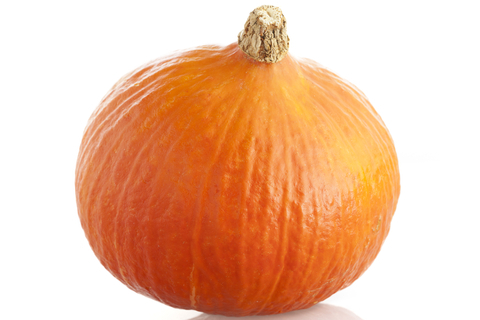 Peel the pumpkin, removing the seeds and core then chop it into small chunks. Peel the skin off the tomatoes and then chop them. Chop the celery, which you have washed. Peel and chop the garlic. Heat 30g (1oz) of the butter in a heavy frying pan and chuck in the celery and pumpkin and season with salt. Cook until the pumpkin goes soft. Transfer to the gratin dish. Cook the tomatoes and garlic in the frying pan, add chopped parsley and season. Let the tomatoes reduce to a pulp then mix with the pumpkin in the gratin dish. Season to taste. Sprinkle over the breadcrumbs to cover and top with blobs of the remaining butter. Pop in the oven for thirty five to forty minutes until golden on top.